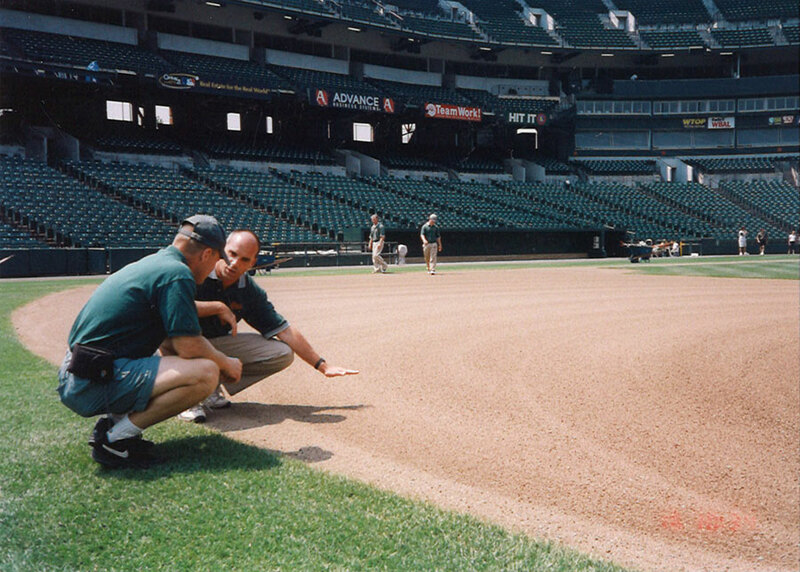 JULY 15, 1999 — One of Beacon’s new owners back then — and the engineering brains in the company to this day — Jim Myrland listens to Paul Zwaska, at the time the Head Groundskeeper with the Baltimore Orioles, as he explains the fine art & science behind maintaining a good infield skin. 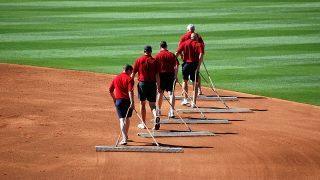 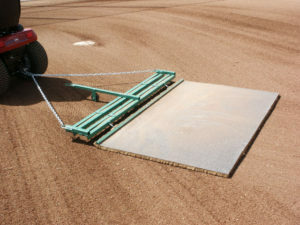 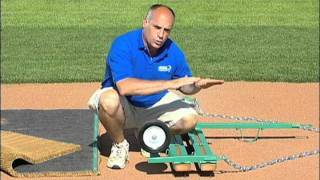 While visiting Orioles that day, Jim noticed the Orioles’ ground crew was using a homemade drag spiker made out of wood, nails and a 6′ x 3′ steel mat drag. 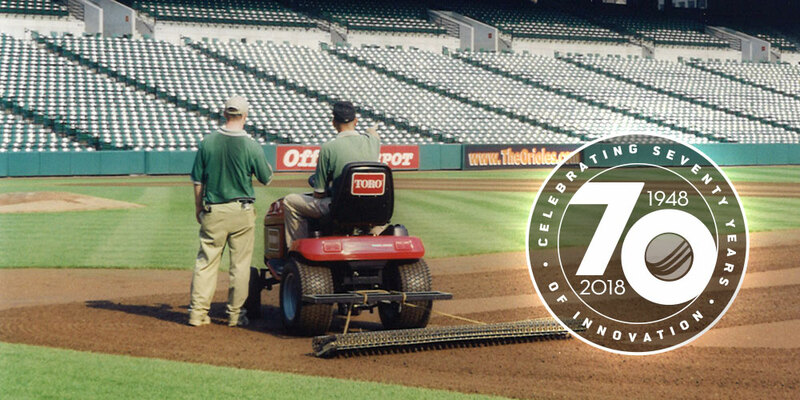 As he watched it perform, he decided right there what Beacon’s first new proprietary product should be. 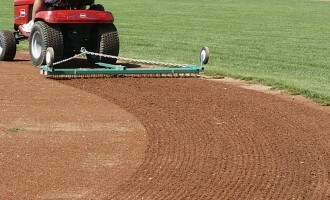 January 2000 — Beacon Ballfield’s (which was Beacon Athletics’ original company name) introduced their first proprietary product, the Drag Spiker. 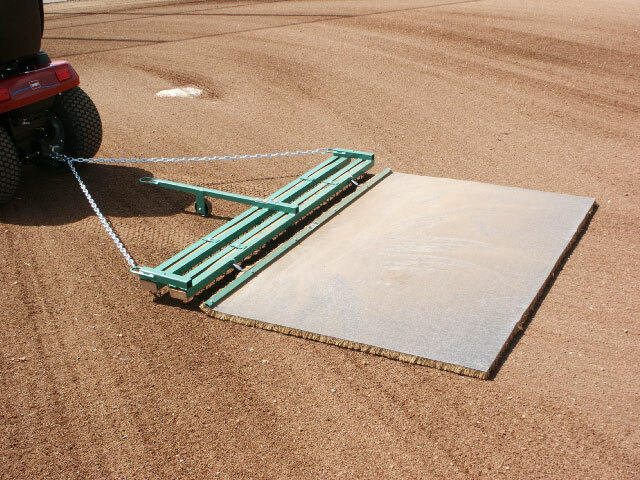 It appeared in its new and first ever color catalog for Beacon Ballfields. 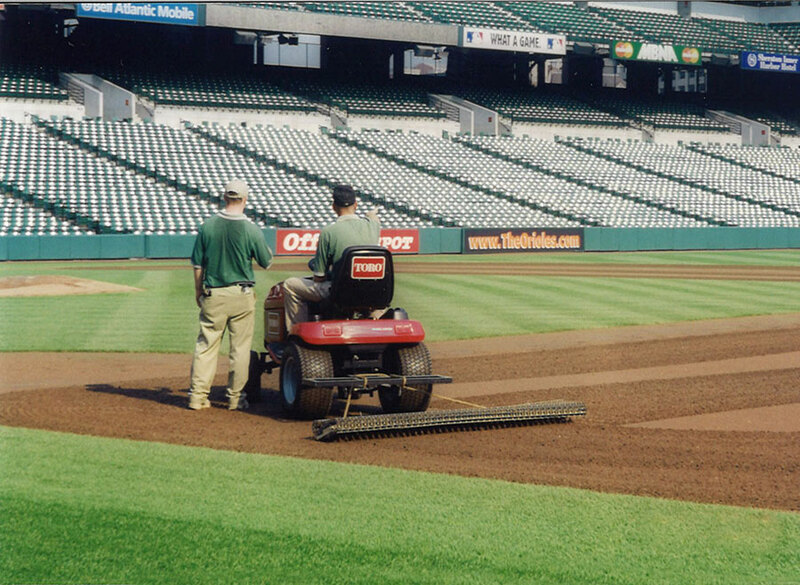 Great for daily maintenance to your infield skin.